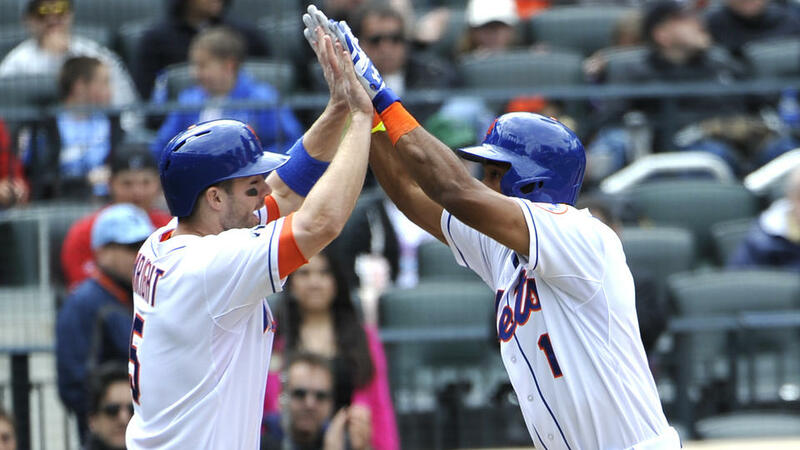 Are the Mets poised for a big 2nd Half? The Mets ended the first half of the season with an 8-2 homestand that seems to have reinvigorated their fan base just a little bit. A 45-50 record heading into the All-Star break isn’t that bad. Now we’re just 7 games out of 1st place, trailing the Braves and Nats. Unfortunately, prior to winning of 8 of 10, the Mets lost 8 of 10, including getting swept in Atlanta. That’s been the most frustrating thing about this year’s team – we haven’t been able to string together a couple of good weeks. That homestand was the first time the team was able to build any momentum, evidenced a seaon-high 4-game winning streak and a sweep of Miami. So we were finally playing good, consistent baseball and then the All-Star break interrupts. Not the best timing but at least it gives Mets fans a chance to feel good about the team without any threat of returning to our inconsistent ways. Starting tomorrow, we open up a 10-game road trip in San Diego. Everyone should be rested and ready to continue what we started over the past two weeks. So could this be the time that this team turns it around and becomes serious playoff contenders? It’s unlikely given that the Braves and Nats sit tied atop the division and there’s a logjam in the NL Wild Card with 6 teams separated by 3 games. But this upcoming road trip can set the tone to play meaningful games in August and September, something this franchise hasn’t done in about 6 years. We’re finally starting to play better at home (25-23) but our play on the road has diminished (20-27). That’s what makes this upcoming road trip so important. Terry knows that he can’t keep his job by clinging to mediocrity. We’ve battled injuries and once Niese returns from the DL, our rotation will be as close to what we hoped it would be on Opening Day. Dillon Gee is poised to continue his ascent as a strong mid-rotation guy, while Wheeler continues to improve and Jacob DeGrom has been a pleasant surprise. I’m well aware that for all of this to come to fruition and actually play meaningful September baseball, a lot needs to go right. Aside from keeping up the strong play at Citi Field and maintaining above-average pitching, David Wright needs to return to form. Curtis Granderson and Lucas Duda need to continue their strong power hitting while Travis D’Arnaud stays hot and avoids reverting back to his pre-demotion form. It’s a tall order that also requires a competent bullpen but like I said, that 10-game homestand has at least reinvigorated me. All year I was waiting for a win streak to build on and it finally came last week. Hopefully after some rest, we can pick up where we left off prior to the break. If it all falls apart during the 2nd half like it has the last couple of seasons, then we become sellers yet again and hope for 2015. Luckily, I’m not thinking about that just yet.